Automattic has acquired the BruteProtect plugin for protecting your WordPress installation against malicious attacks. The company plans to build the plugin into its Jetpack suite. BruteProtect will remain available for now while the team works on the integration. 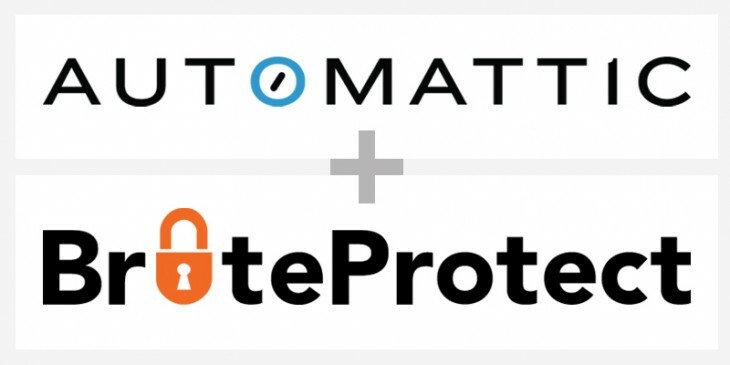 Automatic has also turned BruteProtect’s premium service, which used to cost $5 a month, into a free offering for all users. Once the technology has been fully implemented into Jetpack, BruteProtect will notify users in advance before it disables the plugin. Interestingly, BruteProtect founder Sam Hotchkiss revealed that he built the first version of the tool in an 18-hour coding session last year after noticing a marked increase in botnet brute force attacks against WordPress sites. Last month, BruteProtect blocked 35 million attacks across its platform.